We aim to facilitate the improvement of water supply and to promote the sustainable use of natural resources. - Community forestry tree planting projects at three rural schools - Haro Fayissa, Diriba and Sorga. - New girls' toilets for Nekemte Primary School. - Spring capping - 5 more springs capped during the last dry season. - Fuel-efficient wood stove manufacture. - Rehabilitation of rural water supplies in Nekemte area, assisted by two grants from the German Embassy totalling 12,000 Euros. 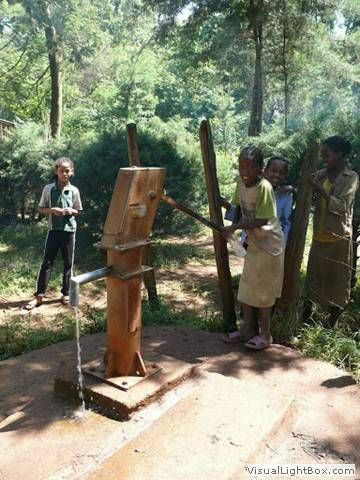 - Spring capping and improved wells for clean rural water supplies. - Water supply and toilets provided or improved for 10 schools.